Always look modish with this magnificent DJ&C shirt in your collection. This beautiful cotton shirt deserves to have a modern owner. 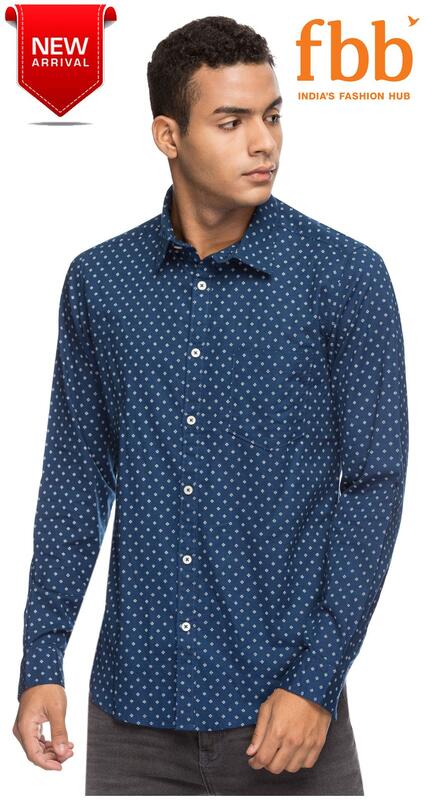 The casual shirt in printedered pattern is absolutely a well-worn addition to a man of honor's closet. Where is yours?. Make a bold fashion statement with this trendy casual shirt. The blue colour provides a classic touch to the overall look. Savor your outing with your friends with this magnificent spread collar casual shirt. Combine this shirt with cotton trousers and a pair of boat shoes.